In this profound, thorough, and life changing program you will revolutionize your understanding of self, and the world you inhabit. New possibilities and potentials will open and clarity of tangible direct action will take form. You will enrich and innovate new potentials in your body, mind, spirit, relationships and community. You will learn how to live your wisdom, as a part of the great tapestry of life unfolding, thereby transforming our world. Discover an innovative subtle energy system to enrich and amplify your unique gifts. 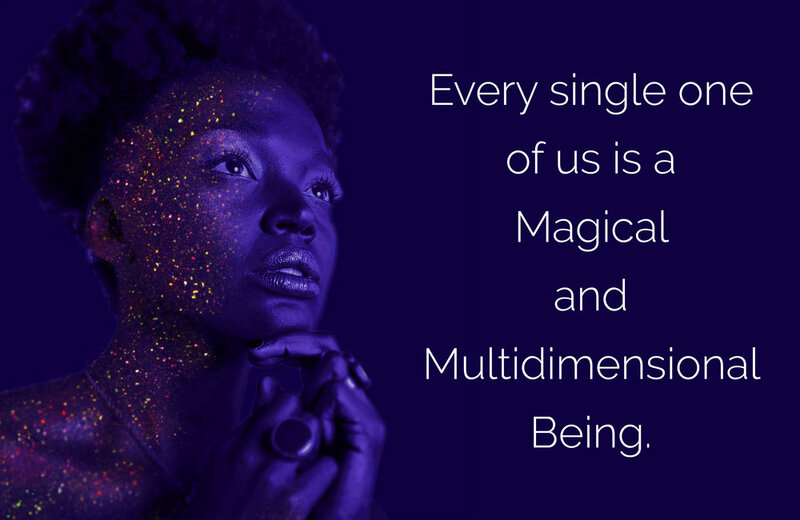 You are needed now more than ever, and so… there is more support and nourishment available to you than ever. The world is ready and waiting for you. For what you know, who you are and what you offer. With your passionate heart, your depth of spirit and your unique vision you are an integral part of the great turning that is taking place upon our planet right now. You know this and have shown up for it. Learning skills, working and living in ways that align with your values. Holding personal practice and self care as priorities. You are a care taker, a leader, a provider, an innovator, and hub for your community. You enrich all those whose lives you touch. Bringing beauty, kindness, support and love to your world. You hold space in ways both seen and unseen, acknowledged and unacknowledged. Still, your spiritual knowing, your inherent wisdom and the full potency of your being hasn’t totally woven into your day to day reality. You are so close to something, with inspired ideas and projects coming into form…. yet there is still a gap that needs to be closed, a bridge that needs to be built, an embodiment that’s waiting to alchemize for you to fully engage with the potentials of these times and to bring forth what you know is possible. You feel this disconnect in different ways. Maybe it’s as a push and pull in taking action, or a boredom with what you’re doing. An overwhelm, a holding back, things not quite landing…. I want nothing more than to support you in this next phase of your unique unfolding. I honor you and your inherent wisdom, power and brilliance. I want to support you in being all of who you are here to be in a way that feels joyful. Not without effort, but with the grace of congruence, alignment, resource and the support of all creation with you in each moment. I know your path hasn’t always been easy. I know it’s taken a fair amount of trials and initiations to get you here. I trust that the fullness of your experience in life up until this moment has offered you the perfect conditions to shape you into exactly who you are becoming. This course can help you unearth your latent talents (trust me, however brilliant you already are…. there’s more). It can help you find a cohesive thread that weaves through all of your skill sets and offer you a new inspired perspective and understanding... Bringing you a wholeness, embodiment and satisfaction beyond what you have ever dreamed possible. Wishing for more guidance, support, and community to connect with. Wishing to feel more clear and unwavering in your life and work. Wishing for more acknowledgment for the unseen, unnamed space you hold. Wishing to feel more unshakeable as you evolve and grow through the changes happening. Wishing to experience your awareness and sensitivity as a super power and gift, rather than something to manage. All of this is possible and available to you. It is possible for you to take your passion, your skills, your capacity and your offers to a whole other level. Through an incredibly refined, high caliber, individually focused two year professional training program that will enrich and amplify your energy awareness and skills. “How can you meet all of our needs in one program?" It then offers models and tools to help integrate those vast potentials into inspired, emergent, innovative, embodied and real world applications, realities and expressions. Although this is a group program it is very much run in an apprenticeship style. Syntara system is a living system and is passed on through direct transmission. Each individual’s interests, talents and essence informs the direction of the group and the living teachings that are transmitted. The students pull the teachings from the teachers, in a dynamic, symbiotic relationship of universal growth and evolution. The more diverse the group, the richer the learning field for everyone. — Mid quarter feedback from our current cohort. Syntara System is a healing modality and energy model that provides structures and outlines, practices, tools and techniques that enrich and develop your intuition, knowing, presence and energetic capacity. The magic of the system is that it does this in a way that is free from ideology, fixed protocols and doctrine. Syntara is an open system, that allows you to come into direct relationship with the fields of energy that underly and give rise to all things. It then helps you to embody, integrate and create from that new awareness. Empowering you to create and impact your life and world in phenomenal ways. It provides direct connection to the spirit realms while allowing you the freedom to create your own meaning and context without an overlay of someone else’s culture or religion. In this training you will get a lot of individualized support. On this journey of becoming, one size does NOT fit all. We are keeping the group size small to be sure to meet each of you and your Brilliance and challenges in the most tender and present of ways. So that you can apply the work to your life in granular and tangible ways. 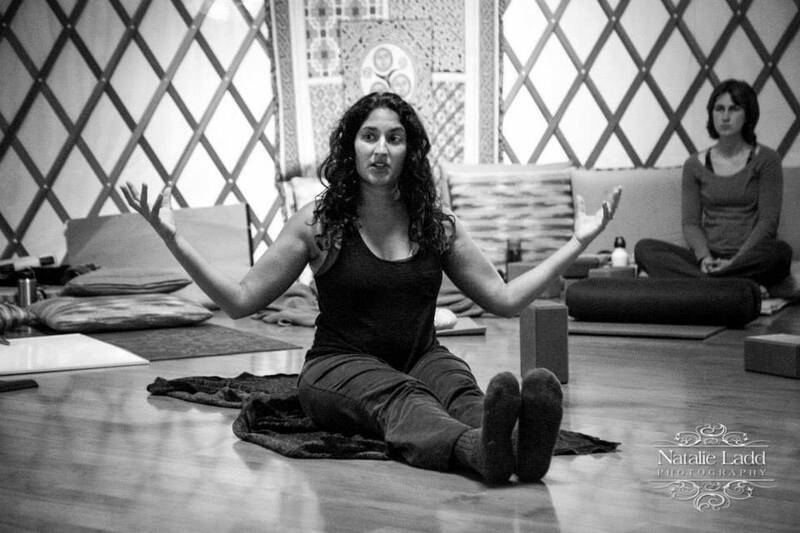 We have a high ratio of instructors to students, that will provide a highly catered experience that will hold you in your unique unfolding and help you unearth your unique gifts and skill sets based on your innate capacity and your essential nature. We will also have guest teachers, from the tops of their fields, sprinkled throughout the two years. I am Gitanjali Hemp, the founder of Syntara System. I have been teaching energy awareness programs and classes for over 20 years and developed Syntara System over the past 16. I have spent the last 10 years training hundreds of practitioners and facilitators in the modality with astounding results. I have seen the impact this work has on people and in their lives. I am continuously in awe of what becomes possible when people claim their gifts, embody their knowing and impact the world in deep, meaningful and inspired ways through implementing the tools they have learned through this work. A therapist applying these principles to work with returning vets suffering from PTSD with phenomenal, measurable results in very short periods of time. She is now developing a program to teach to others. A high level manager at a tech firm who applied her new skills to company dynamics and received four promotions within two years and was asked to create a model for team development and leadership at her company. – I feel more aware of a greater depth of experience, more interconnected with all of creation, more growthful in my relationships, more clear about what is aligned with my purpose, and so much more resilient in the face of life’s peaks and valleys. On a professional level, with the support of this modality, my work has rapidly grown in scope and depth. I went from an idea about what my life’s purpose was to quickly being able to see elements of it unfold in real time in delightful, unexpected ways. This has included stepping more fully into my power and leadership. I have been able to apply this work in facilitating social justice visioning retreats with activists, artists, and healers and see how dramatically it can support to heal and weave some of life’s most painful experiences of oppression into loving and hopeful possibilities for the future. It has shifted how I approach this healing and visioning work by helping me experience all the resource and untapped potential that we can access to aid this work which has in turn increased and rapidly growing my capacity to heal and to be able to hold more space for others and for the collective. At nineteen, a revered spiritual master told me that I would bring a new spiritually based healing modality to the world, and that it would be a medicine for the coming times. At the time that was a terrifying prospect. 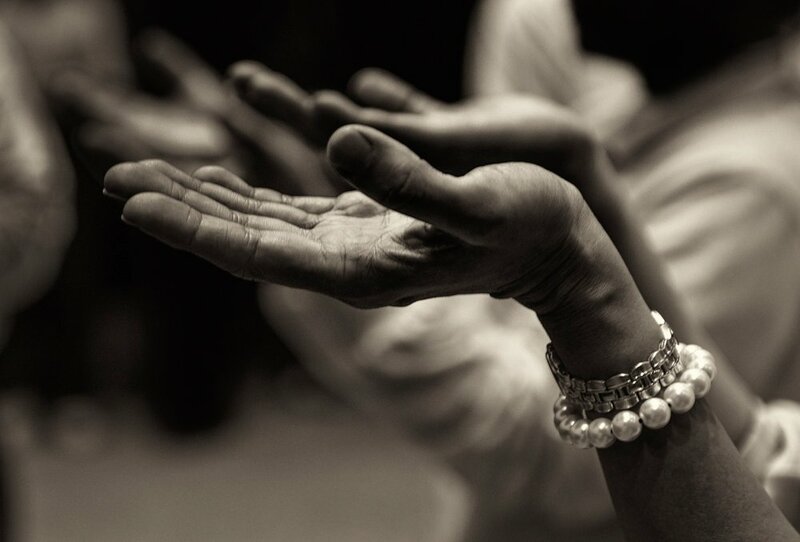 As I came to accept it and surrender to my path I was guided to study with masters and teachers from some of the world’s richest spiritual traditions and most cutting edge healing modalities. I spent years studying philosophy, psychology, biology, environmental sciences, history, and getting certified in over a dozen different healing modalities. I became a teacher and taught young children, I also taught most of the healing modalities that I’d learned. I learned how people learn and how to develop curriculums. I volunteered in high trauma situations and in marginalized communities, deepening my understanding of the most difficult aspects of the human condition. All the while growing in compassion, understanding and humility. 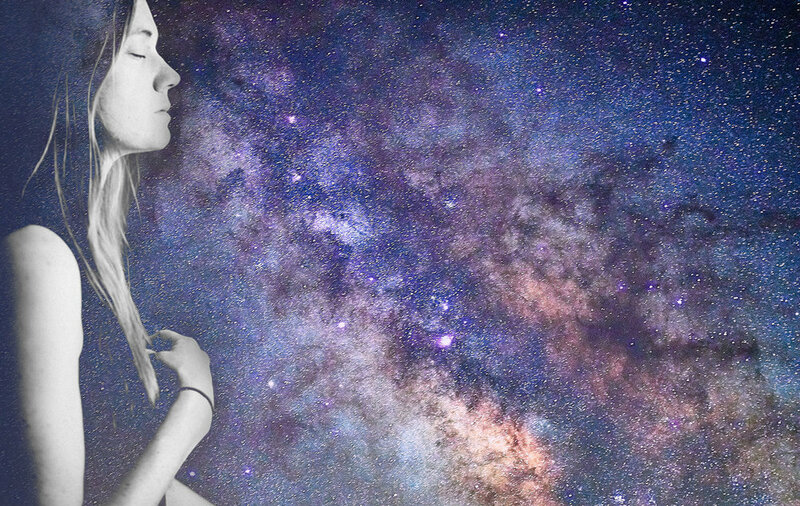 Syntara would become a spiritual model to reconnect others with the unseen realms, providing direct experience of embodied awakening, allowing for a safe transmission of some of the most sacred ancient truths contextualized for our current world view and lived experience. 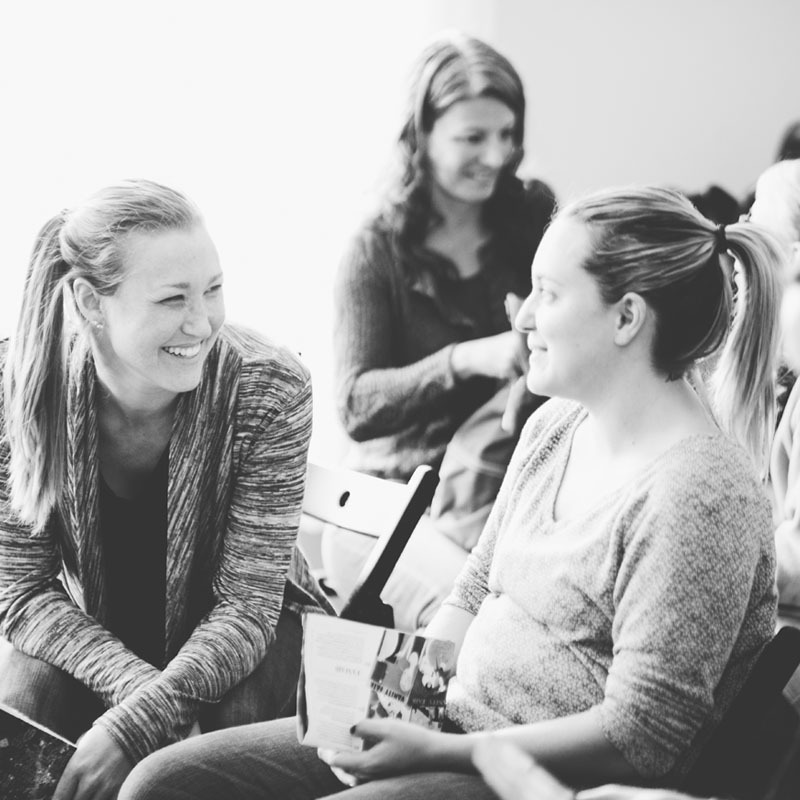 We will meet quarterly in beautiful Santa Cruz, California, 10am-5pm each day. We expect participants to be unavailable for some dates throughout the program. We record all lectures to keep everyone current. You will travel through the course with a sub-cohort of students, and between the modules these 60 minute group calls with a Syntara teacher will give you an opportunity to share and reflect around your experience and ask questions. These will be for refining and practicing Syntara tools. These take place in person or over phone or Zoom Chat with one of the lead faculty. Access to all online pre-recorded classes. Access to recordings of live meditations that are particularly relevant. A spiritual practice tailored specifically for you, that will evolve as the training progresses. Access to a Facebook group just for your cohort where you can bring your questions, requests for support, and sharing of breakthroughs and inspiration. All teachers are very active and responsive, here, and it is a wonderful resource to stay connected and engaged between modules. Access to the larger Syntara Community Facebook group. or $395/month for the 24 months of the training. "Wow, there are so many words and thoughts that come up to describe this program. In the forefront is Life Changing. I have always been a very sensitive soul. I feel things deeply and there are so many different aspects of me. Syntara System has helped me gain structure and integration. There is a clarity and understanding that continues to grow and evolve as I integrate this work into my life. Gitanjali is truly a gifted soul that has come to help humanity. I am so grateful that I have had the opportunity to learn from her in this way. The program was so beautifully orchestrated. Every step of the way I felt that it resonated so deeply. She led with so much grace and didn't miss a beat. I am honored to call her my teacher. Thank you, your teachings have changed my life!" 1. Feeling ready to allow the full potency of their being to shine in every aspect of their life, and not quite knowing how. 2. Feeling at times bored or overwhelmed or like there’s a push and pull in their ability to create. 3. 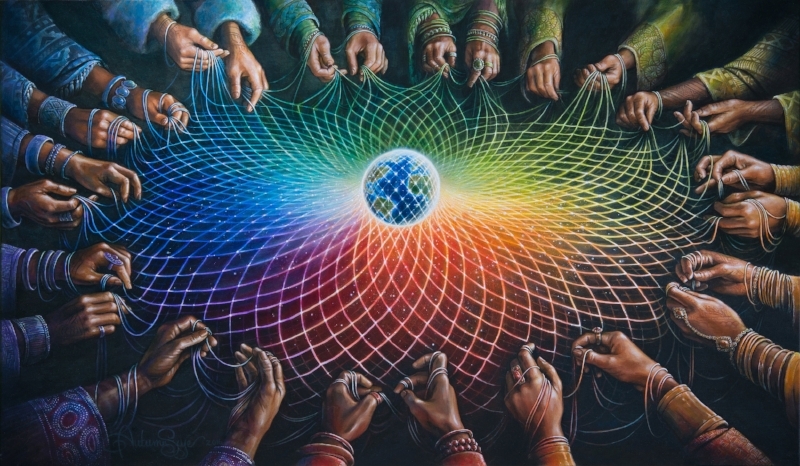 Wanting more connection, community and stability as they continue to change and grow into themselves and share in bigger ways with the world. 4. Not knowing how to share & contextualize the abstract things they experience and understand. 5. Feeling like their life is too compartmentalized and there isn't a coherent thread of authenticity that weaves throughout their world. Desire to be of great service to the world during these times. Desire to have guidance and support on your awake and embodied journey. And all of this will give you what you truly desire…. Increased Empowerment, Capacity to Powerfully Create, Awareness, Stability, Clarity, Embodiment, Coherent Alignment, Fulfillment and Joy..... Towards a more Sustainable and Loving World. You know there is more to this world than what you perceive with your five senses. You know that tapping into the unseen realms and having a framework to navigate there will change your life in ways you can’t even begin to conceptualize now. This program is on the emergent edge of evolutionary consciousness that is being birthed on the planet right now. The world is at a turning point. It’s calling each one of us to evolve, to innovate, to show up in the fullness of who we are. Embodied, spiritual and deeply human, Beings.